Jared Lee Loughner isn’t the only reason we need mental health care reform. 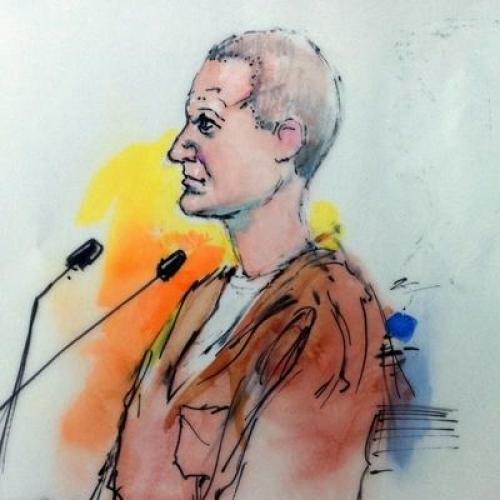 But is Jared Lee Loughner really the best poster boy for mental health care reform? Perhaps not. In general, mental health policy tends to get ignored until someone suffering from a chemical imbalance goes out on a murderous rampage. Statistically speaking, these are rare events: According to a recent literature review in Schizophrenia Bulletin, your chances of getting killed by a person with a mental illness are about one in 14 million. Yet such tragedies, often gruesome, are also the sort of thing that understandably grab headlines and attract the notice of politicians. But the problem with the focus on high profile-crimes, some mental health experts argue, is that policies crafted in response to violent acts by the unstable are often questionable—and, worse, divert focus from more effective reforms. The logic of such laws is compelling—if we can identify people who are refusing treatment and likely to cause harm, why not focus on them? Indeed, the notion has become so popular that, in the wake of the Tucson shooting, some observers have suggested that the standards for involuntary commitment be relaxed even further—to include not just individuals who are dangerous, but people who are “gravely disabled” or whose conditions are likely to deteriorate. But this discussion may be premature, considering that experts are divided on whether existing laws even lead to better outcomes for the mentally ill. The early evidence on Kendra’s Law is encouraging, but still hotly disputed. While assisted treatment programs seem to work well, it’s less clear that people with mental illnesses need to be forced into them. Plus, if courts just shunt people into inadequate (or underfunded) programs, that won’t help anyone. Andrew Goldstein, for one, had actually sought out help—but he received only erratic care from New York’s poorly coordinated mental health agencies. So what’s the alternative look like? A number of advocates point to community health services that can intervene early on. “Most services right now are very reactive—we intervene only when severe problems emerge,” says Harvey Rosenthal, executive director of New York Association of Psychiatric Rehabilitation Services. Better approaches, such as “assertive community treatment,” would be more proactive: Health workers would go out and identify people at risk early on, get in touch with them, and try to be persistent about getting them help. “You wouldn’t just run to the courts if people don’t show up for treatment,” says Rosenthal. After all, he notes, people with mental health issues can easily forget their appointments. Rosenthal points out that some towns in upstate New York, like Syracuse, have programs like this in place—and rarely have to resort to court orders. The other benefit of this approach, advocates point out, is that it reduces the stigma of mental illness. That may seem like an abstract, touchy-feely concern, but consider the Arizona case. Everyone wonders why Loughner’s friends and family didn’t take advantage of an Arizona law that would have made it easy for Loughner to get court-ordered treatment. All they needed to show was that his condition was deteriorating and that he could have benefited from help. But hindsight’s easy; it’s harder to make that call at the moment. “If you had a friend who was in trouble, and you knew that if you made a phone call, the legal system would get involved, would you do it?” asks Bernstein. On the other hand, if you could call a mental health community center and all it would mean is a low-pressure visit, that might be easier. Granted, that would also require that mental health services be better publicized and, in many cases, of higher-quality. And the major obstacle to more proactive mental health services is—what else?—money. The steep cuts to Arizona’s various mental health services (nearly 50 percent in Giffords’s district) have been well-documented, but underfunded systems have been the norm around the country ever since the big wave of deinstitutionalization in the 1960s and ’70s. And it’s only likely to get worse. Most states tend to rely on Medicaid to cover many of their mental health services—and Medicaid isn’t likely to fare well in an era of state budget crises. What’s more, while effective treatment can save money in the long run (it’s cheaper than putting people in homeless shelters or hospitalizing them), state legislators aren’t always that far-sighted. Now here’s the trickiest question: Could a better-funded mental health system have prevented the Tucson killings? It’s impossible to say—but the answer could well be “no.” There are always going to be people who slip through the cracks of even the best system. Furthermore, while good treatment can reduce violent tendencies among the mentally ill, it’s not clear that mental health care alone is the best way to reduce crime. As Rutgers professor Nancy Wolff points out, some recent research has suggested that criminals who are mentally ill tend to commit crimes not because they have a chemical imbalance, but because they share other characteristics with the types of people who commit crimes (drug addiction, for instance, or beliefs like, “Life’s been unfair to me, so I can take what I want.”) “That suggests,” Wolff says, “that treatment alone isn’t necessarily going to stop someone with a mental illness from engaging in criminal behavior.” It’s an uncomfortable thought, but Jared Lee Loughner may well have been the type of person to go on a shooting spree even if he had gotten help. What’s clear, however, is that improving mental health services is worth doing regardless. A recent government report found that 4.4 million Americans with a “serious mental illness” are walking around untreated. Most of them won’t hurt anyone else, but, by definition, they find it difficult or impossible to carry out daily activities and live a normal life. It’s no surprise the unemployment rate among those with long-term mental illnesses is sky-high: more than 80 percent. Do we really need a mass murder to spur us to do something about that?